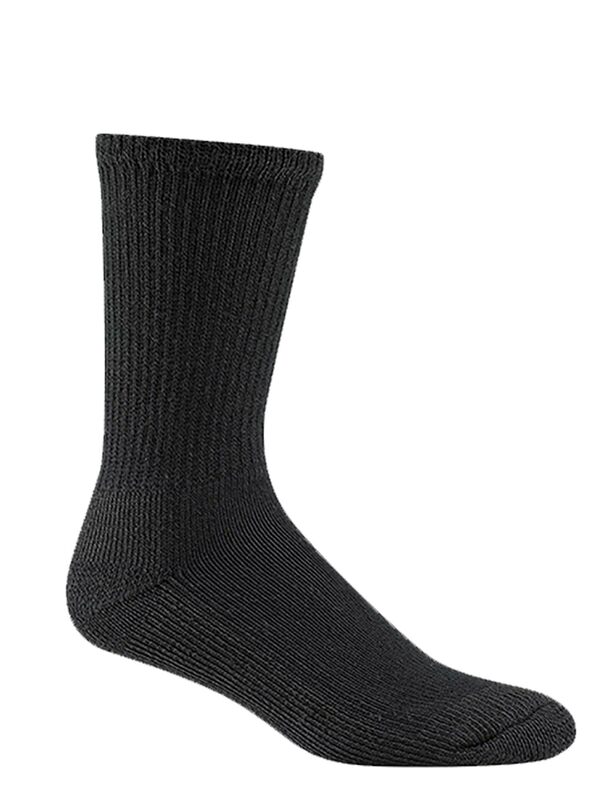 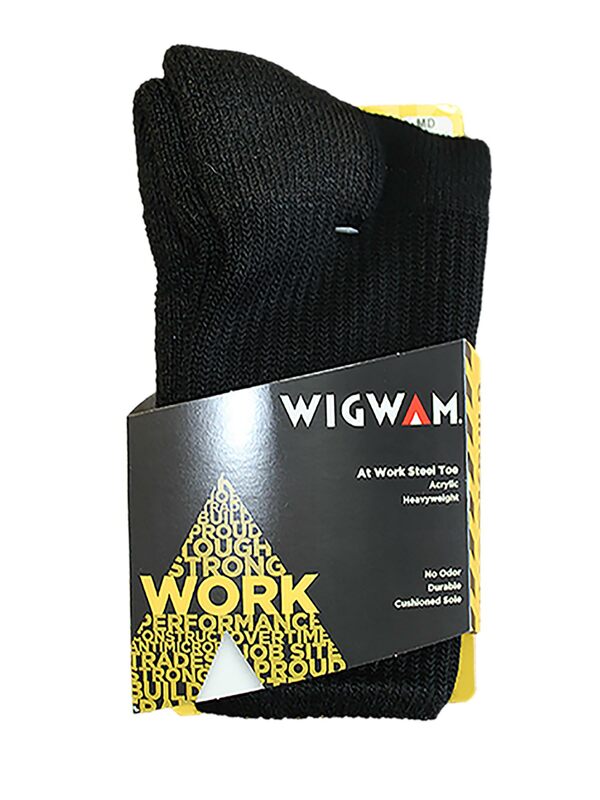 The Wigwam At Work Steel Toe Crew Socks are the ultimate heavy duty sock, ideal for steel-toed work boots and perfected for all-day wear. 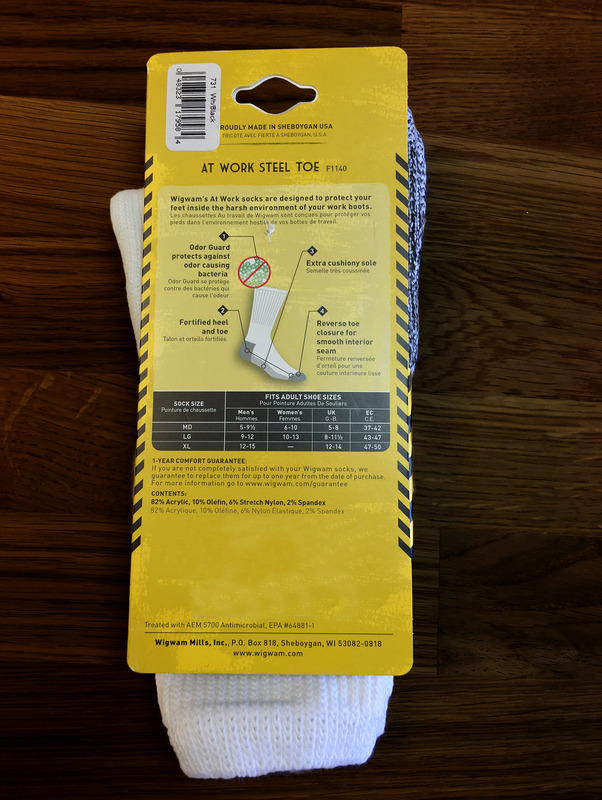 An anti-microbial odor guard keeps your feet smelling fresh, while an extra-cushioned sole and toe keep you comfortable all day. 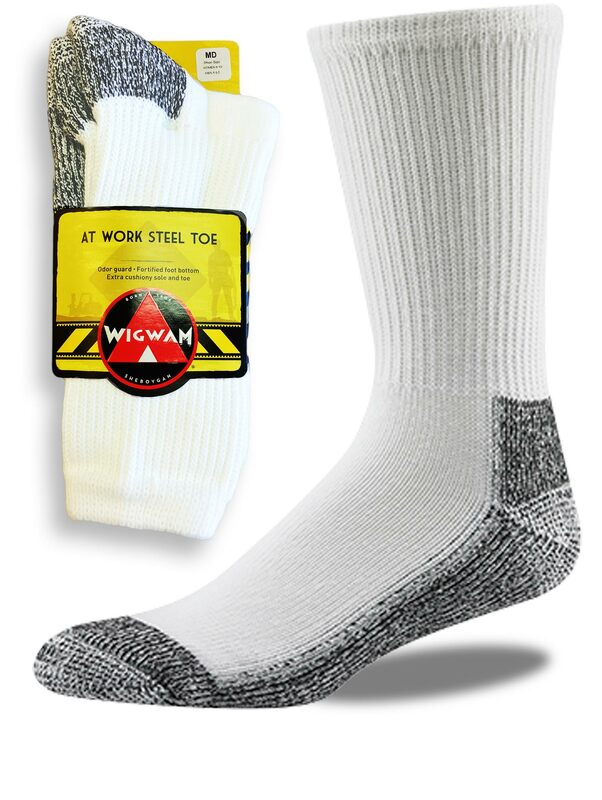 Finally, you can get through the all-day grind without tired and sweaty feet. 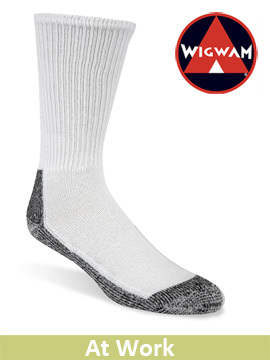 Crew Height, with Heavy Weight and Cushioned Sole.